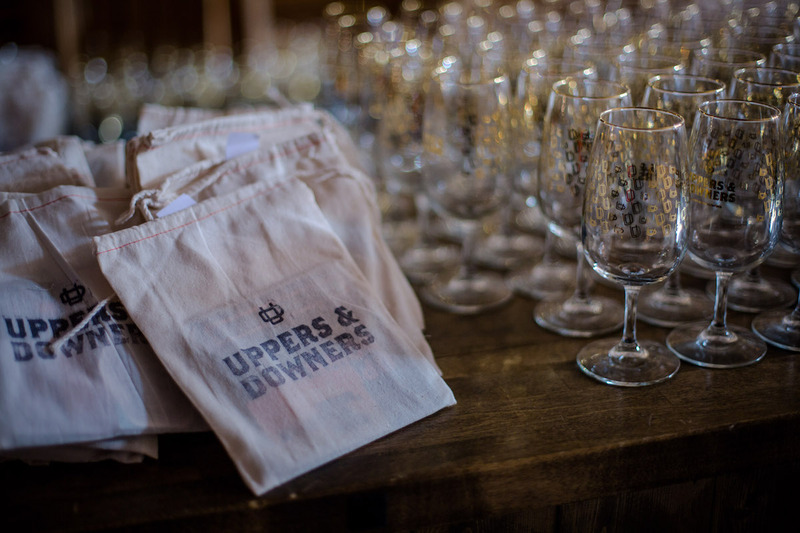 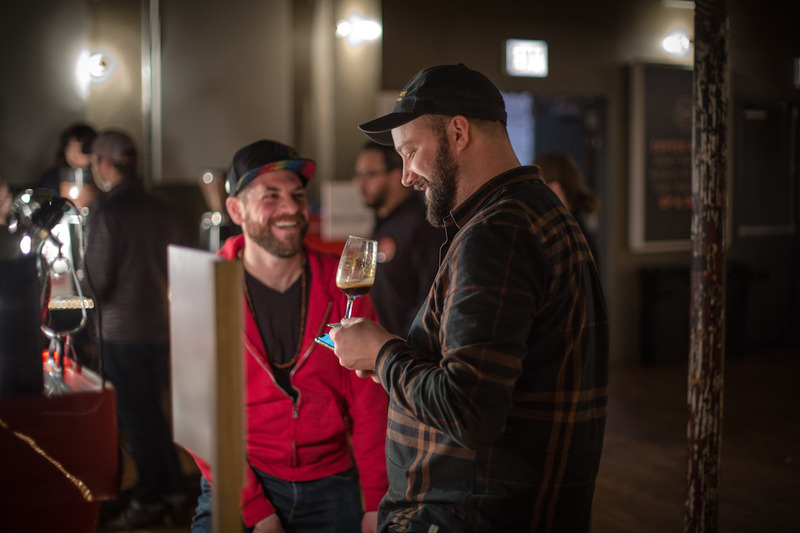 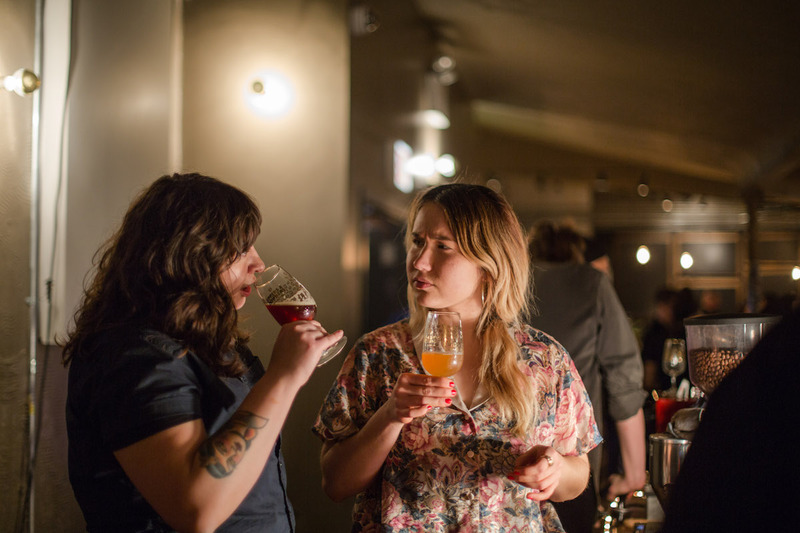 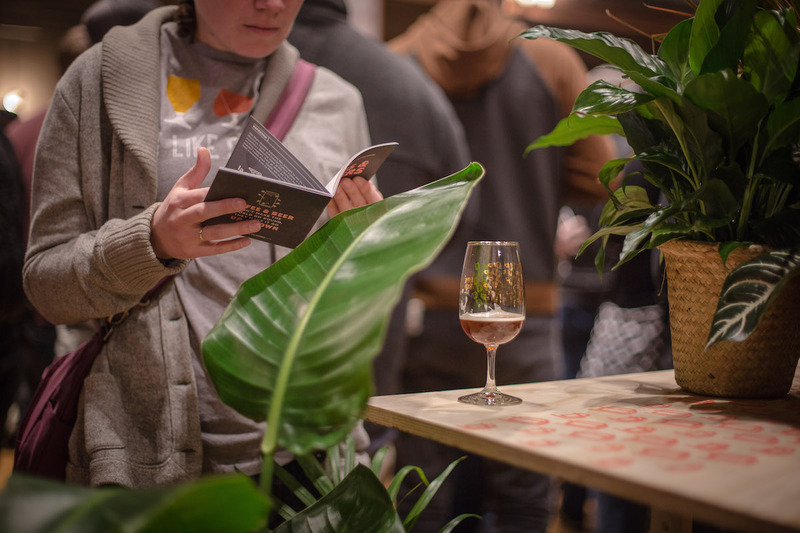 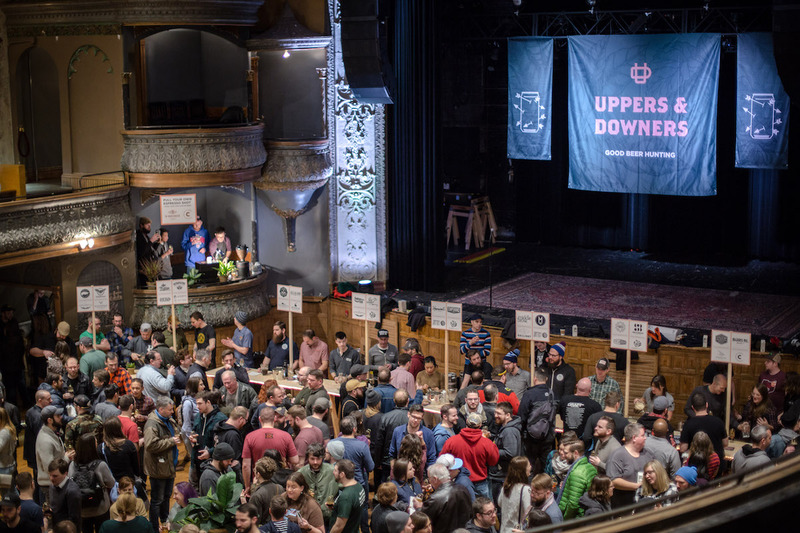 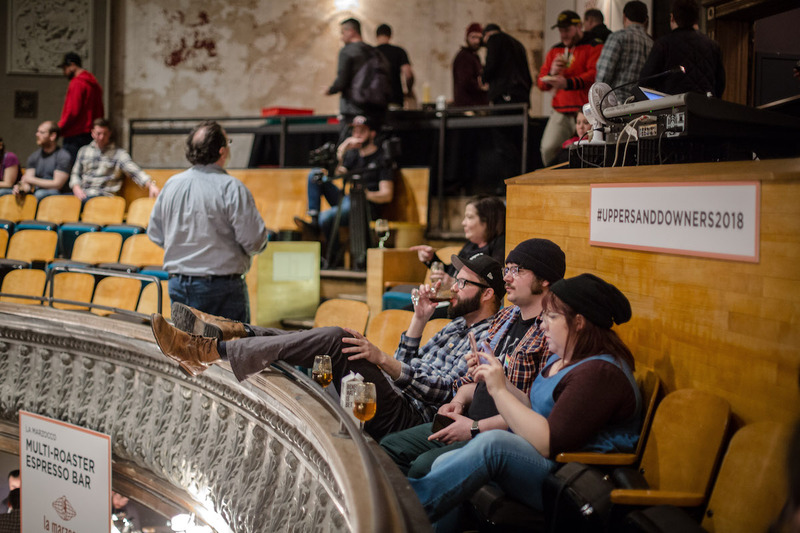 Back in February, we were delighted to work with our friends at Good Beer Hunting to help bring the details of their Uppers & Downers Fest together. 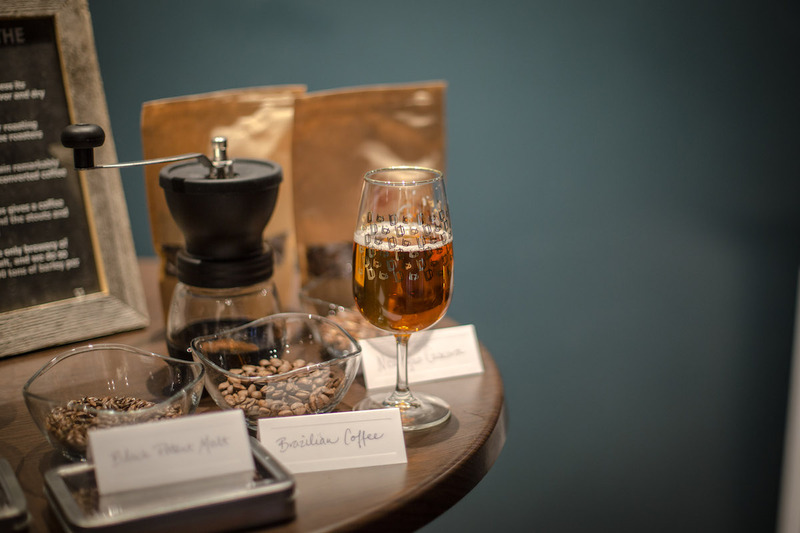 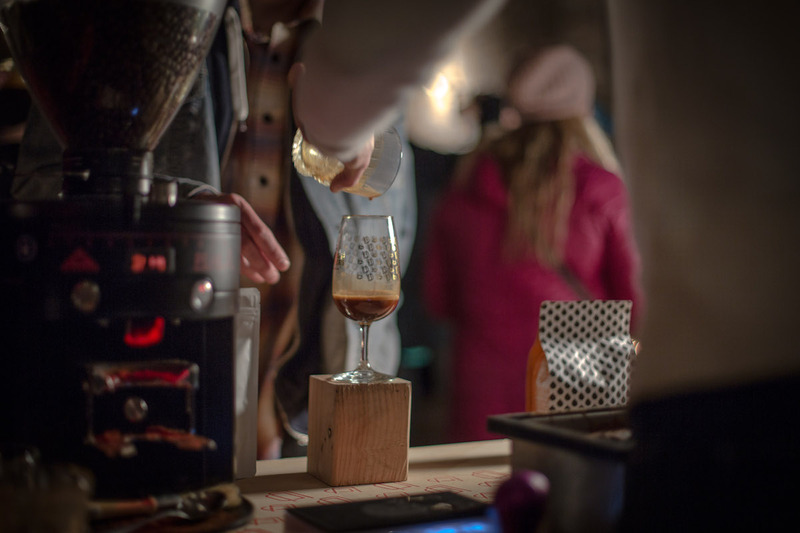 The festival highlighted coffee, beer, and coffee beer — we were hooked! 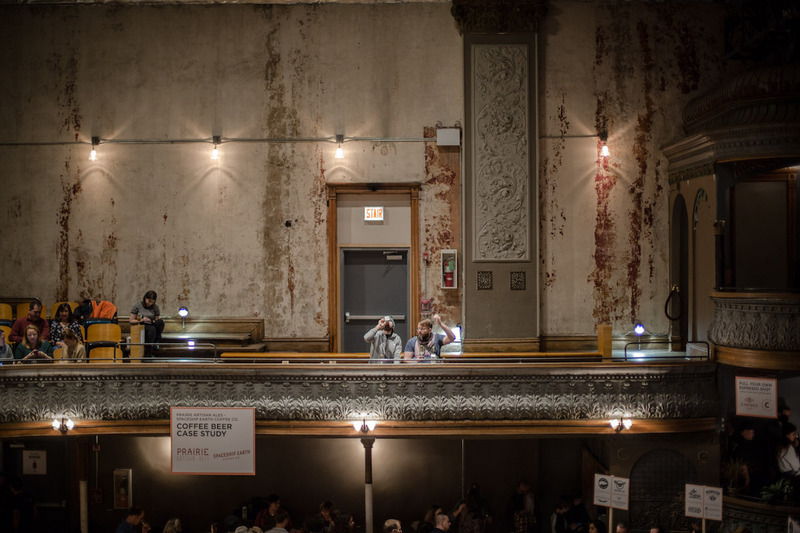 The festival took place at Thalia Hall — and the venue couldn’t be more perfect for this event. 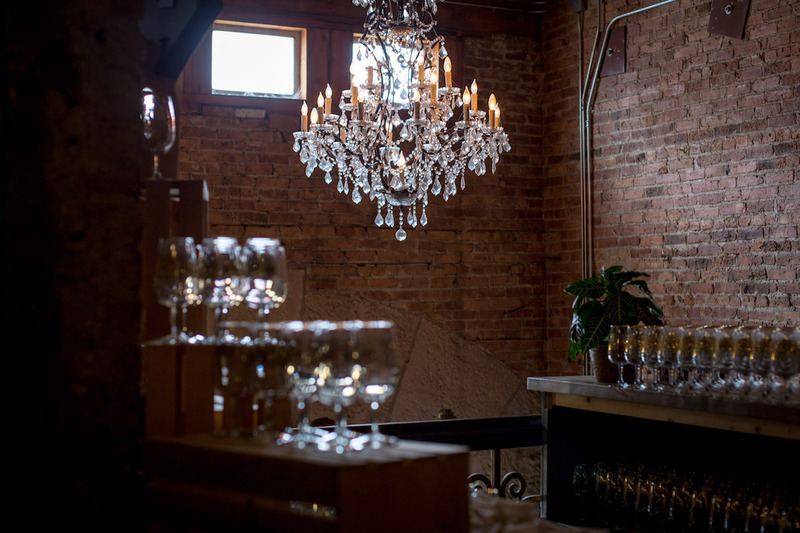 It has a delightful mix of grit and beauty to act as a charming backdrop to this eclectic celebration of beverages. 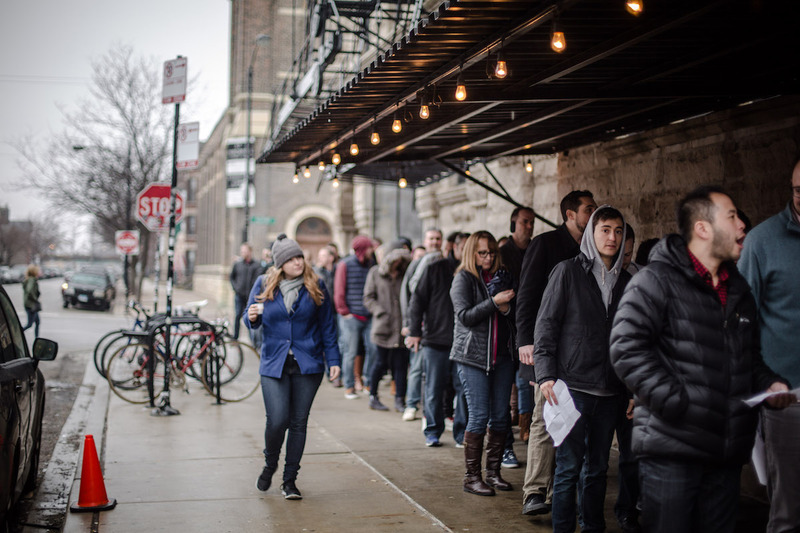 As festival-goers lined up outside, eagerly awaiting the start of the first session, we were busy setting the stage for an action-packed day. 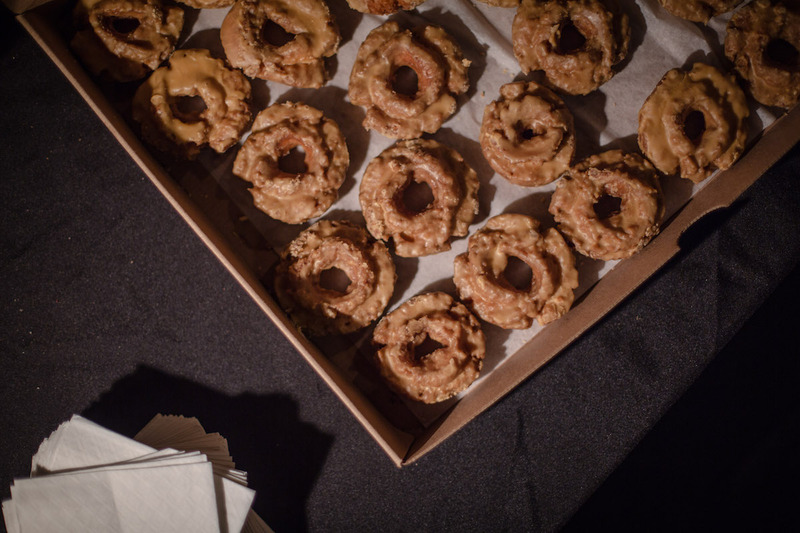 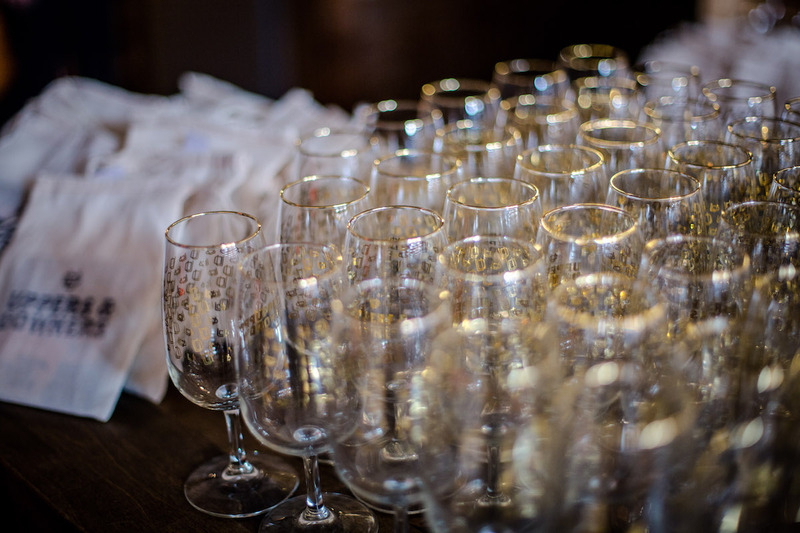 Tasting glasses and swag bags were lined up at the ready — as were dozens of whiskey-flavored donuts from Powers Whiskey! 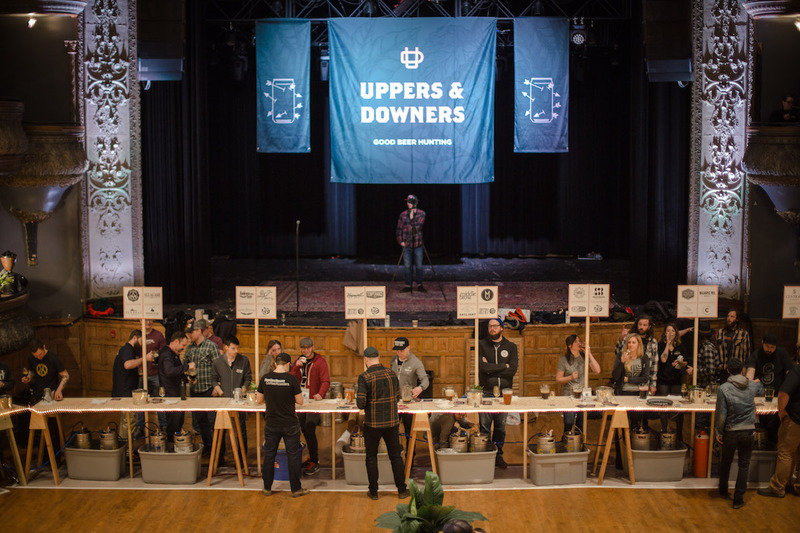 The festival featured a host of breweries who collaborated with roasters to create uniquely-flavored beers, as well as a few case studies — featured breweries offering beers that highlighted an in-depth exploration with a coffee roaster utilizing multiple styles and techniques. 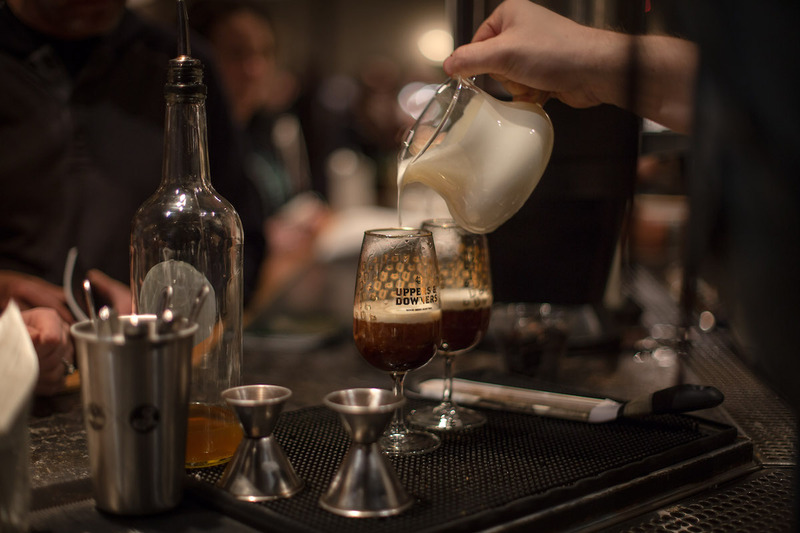 Behind the bar, Powers Whiskey served up an Irish Coffee Cocktail that was created by a local Chicago bartender. 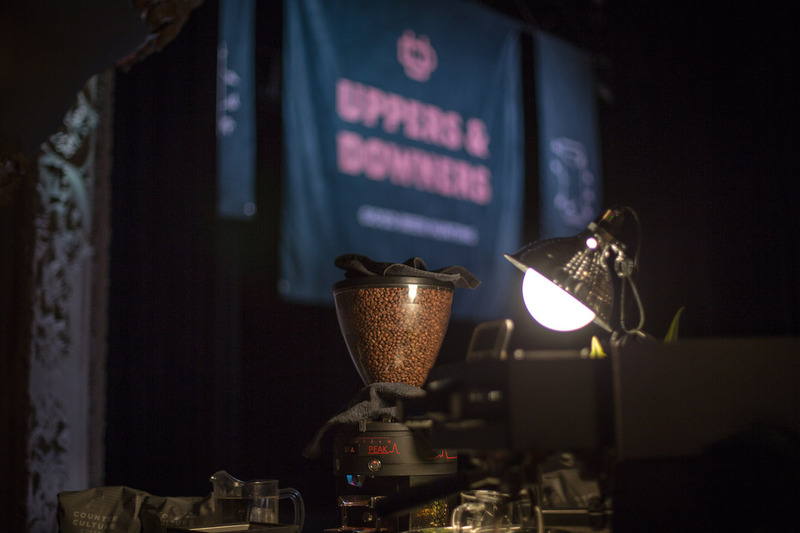 The espresso bar was provided by La Marzocco Home and featured a hands-on demo station, collaborating with Counter Culture Coffee and espresso from a host of roasters from across the country. 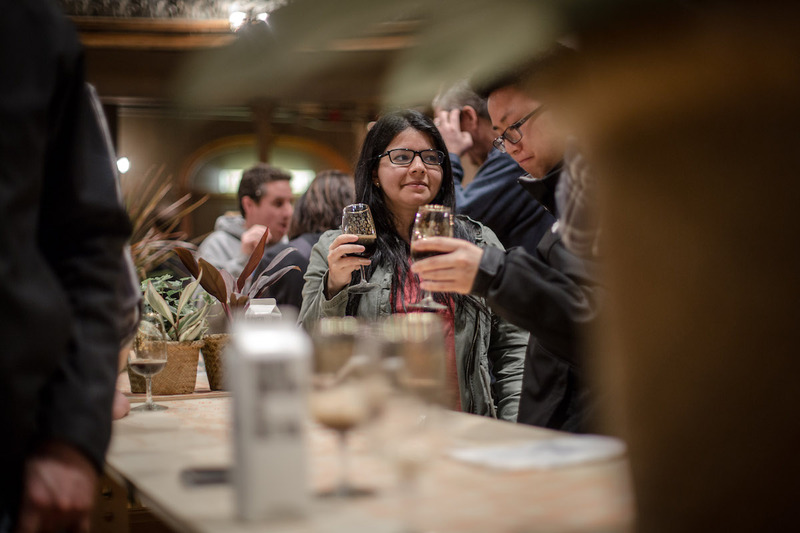 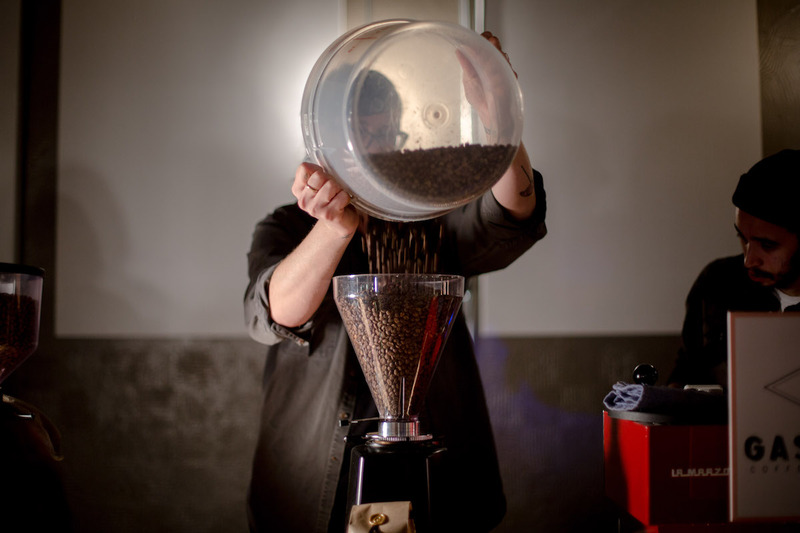 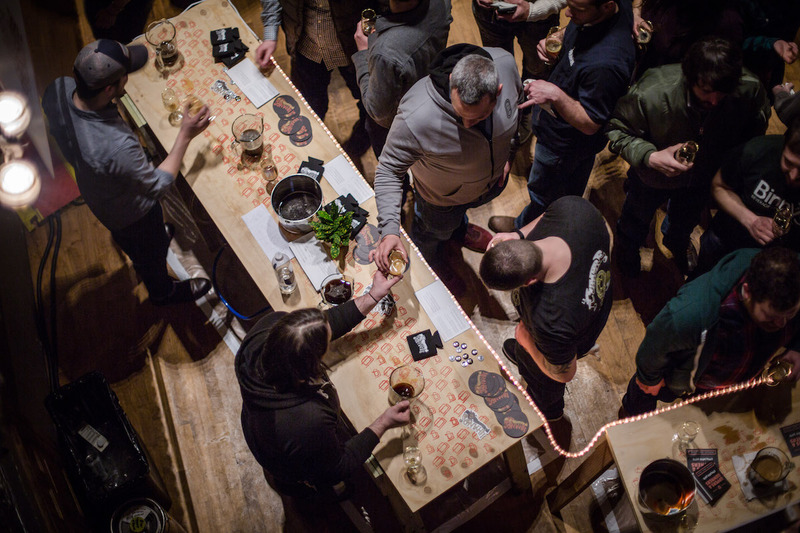 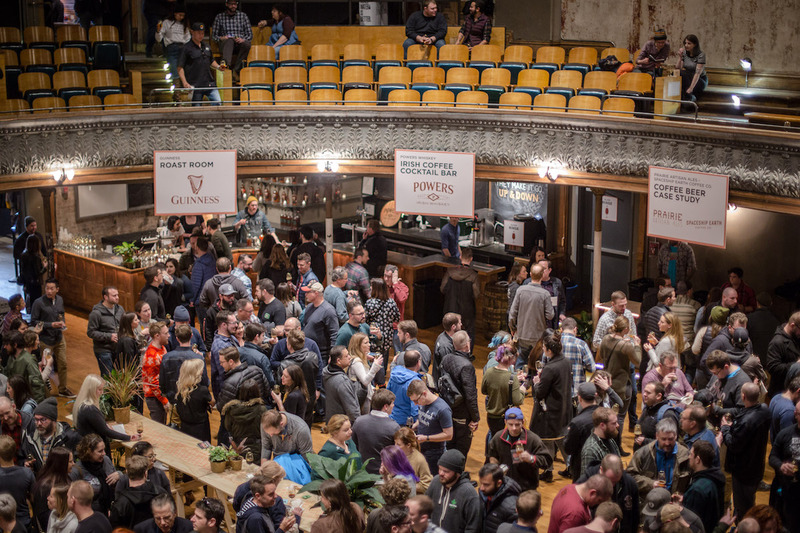 On the second level of Thalia Hall, Guinness presented an educational session in the Roasting Room — sharing its 259 years of experience with the beer — and coffee — enthusiasts in attendance. 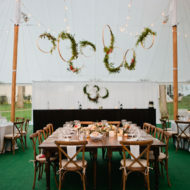 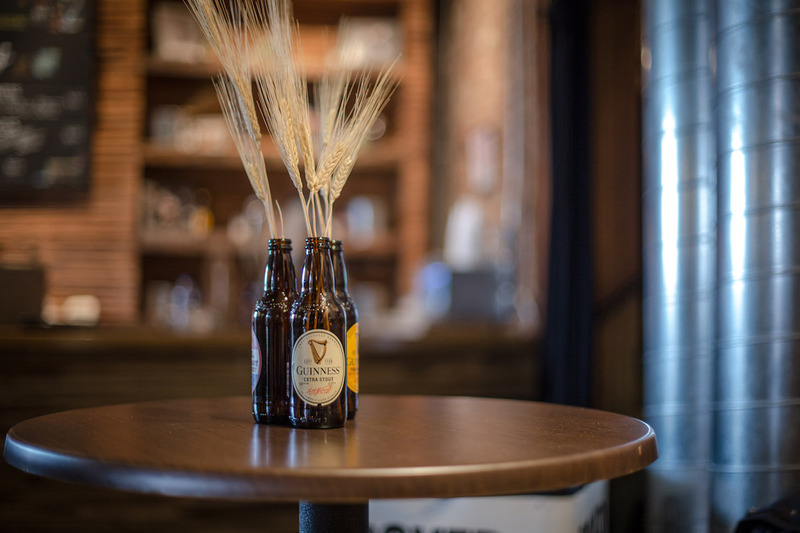 We loved the decorative detail they added to the space, especially these rustic grain bottle centerpieces! 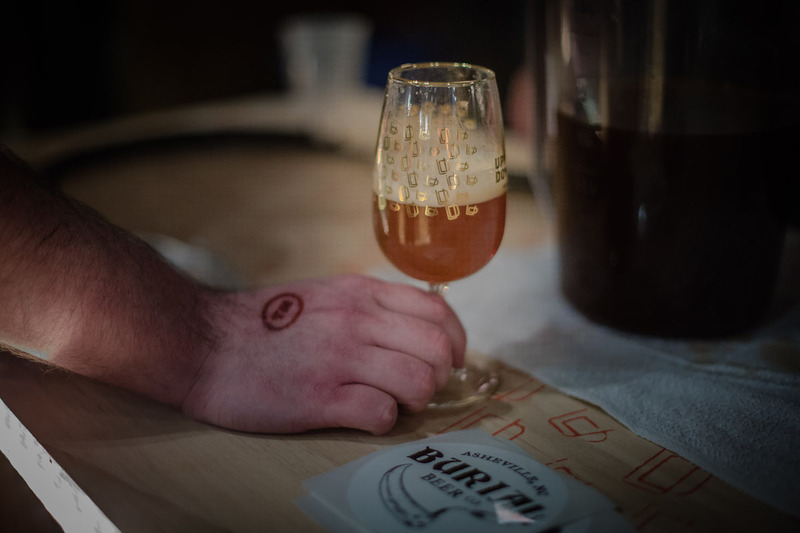 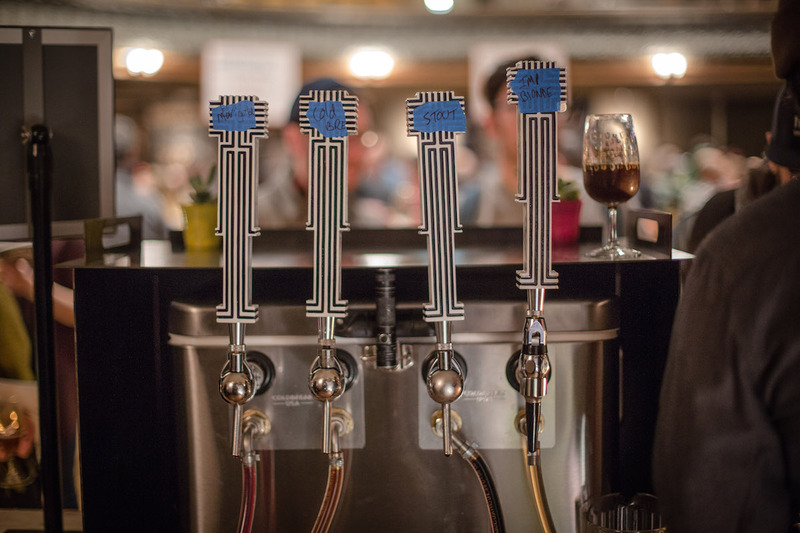 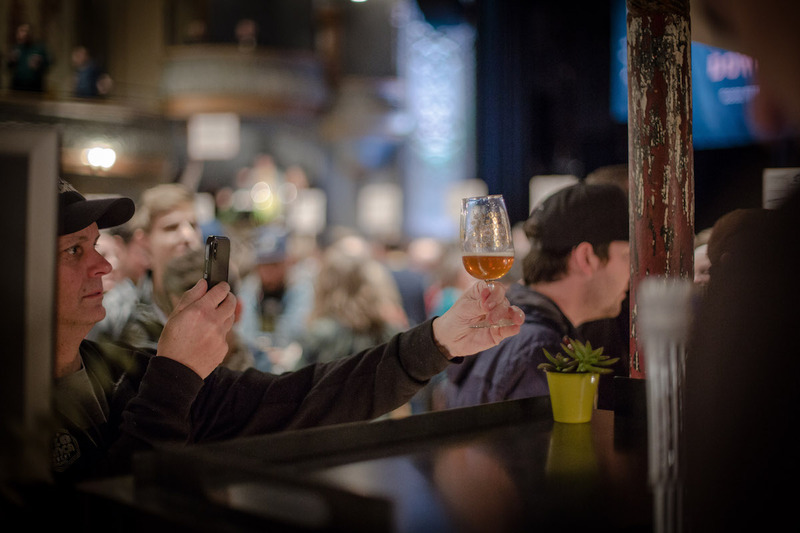 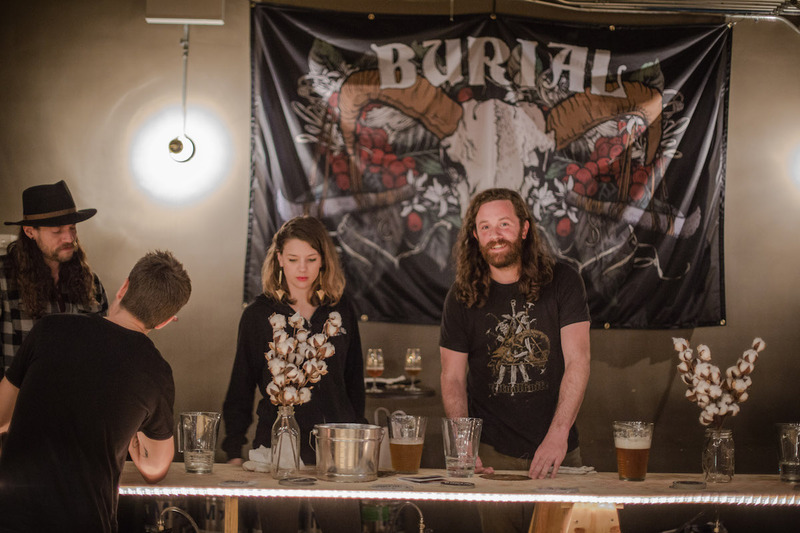 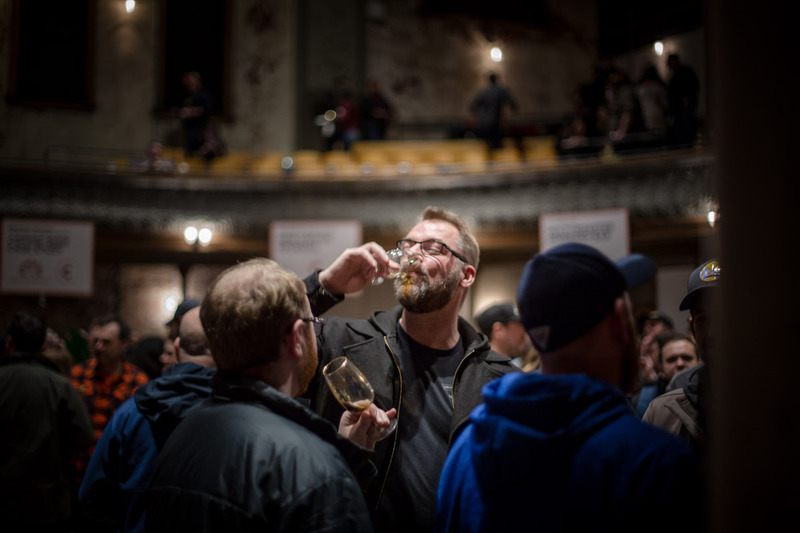 The festival was split into two sessions, and both were packed with coffee and beer lovers. 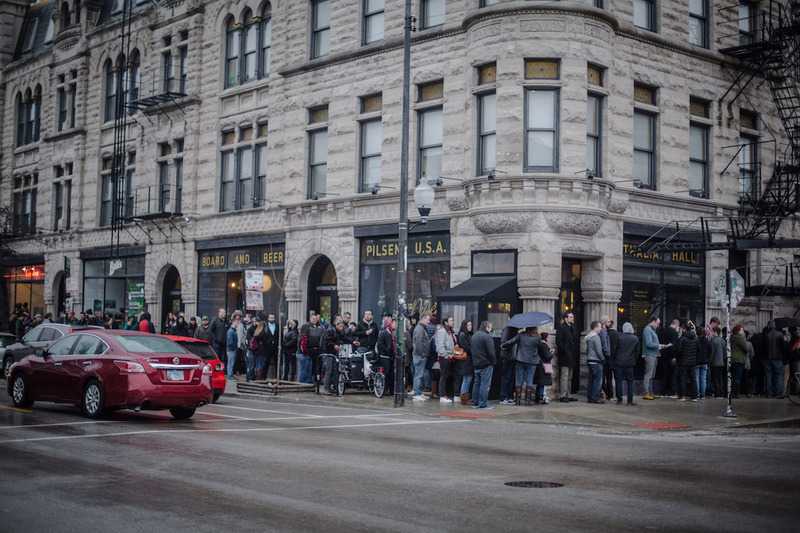 To help satiate the eager tasters, Dimo’s offered mini pizzas and Boxed Water provided much-needed hydration. 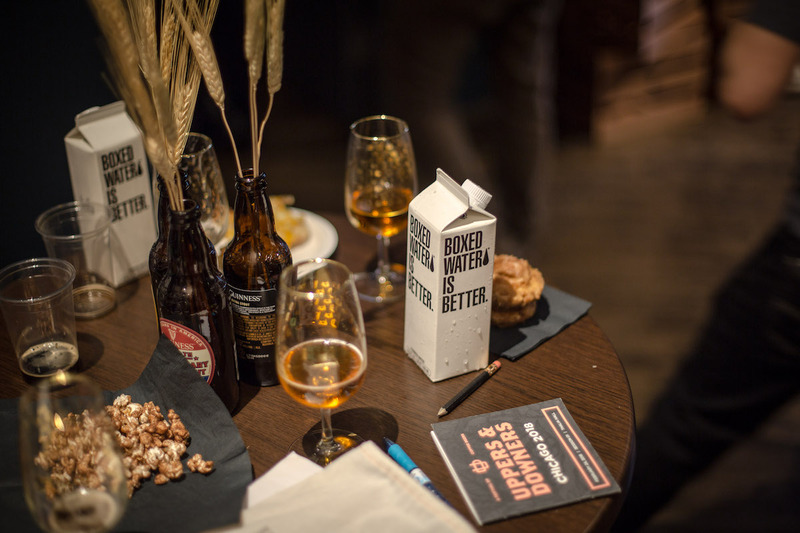 Oatly crafted a hot cocoa with its delicious oat milk to offer a little something sweet as attendees were leaving. 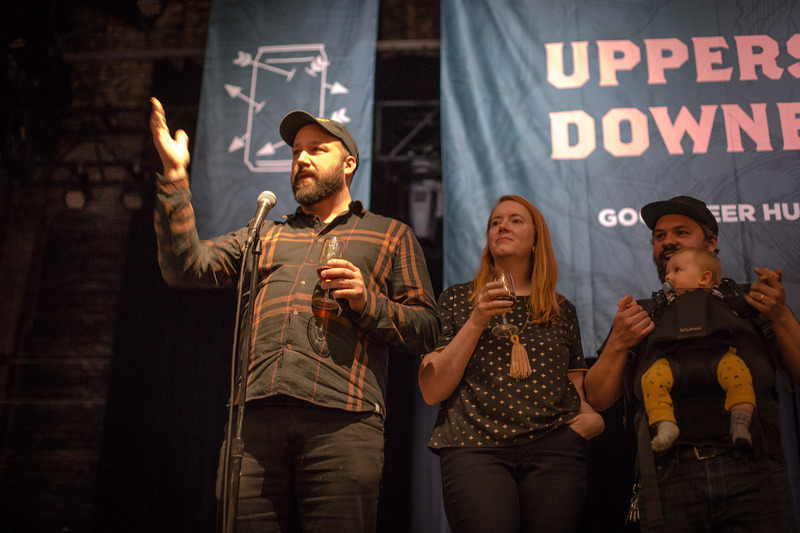 Good Beer Hunting‘s Michael and Hillary took a moment to thank the crowd for attending, and to all the brewers, roasters, and sponsors for their participation in this year’s event. 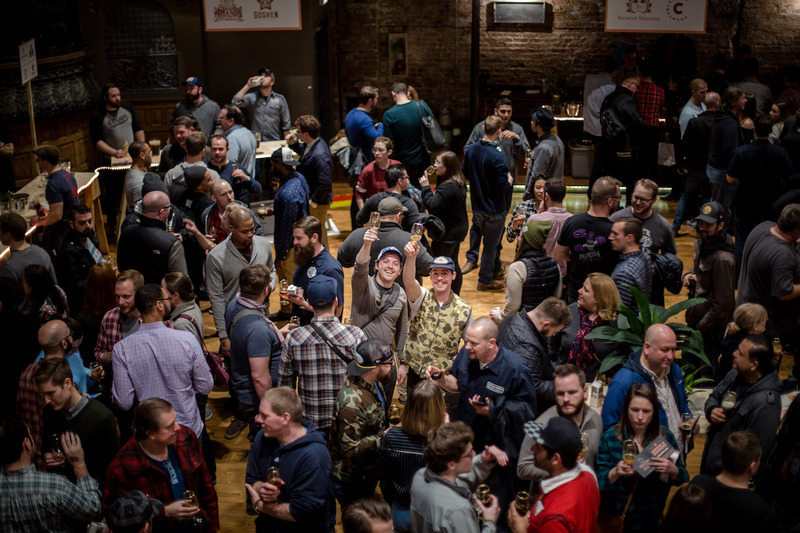 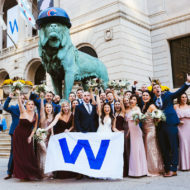 It’s incredible to see how hard the GBH team works to put on such an interesting, thoughtful, and popular event, and we were honored to be a part of this year’s team!